He then urged the legislators to embrace the secular trinity. At the end of his invocation, Scott mimicked the prayer God gave to Moses in Numbers 6, replacing biblical terms with secular ones. 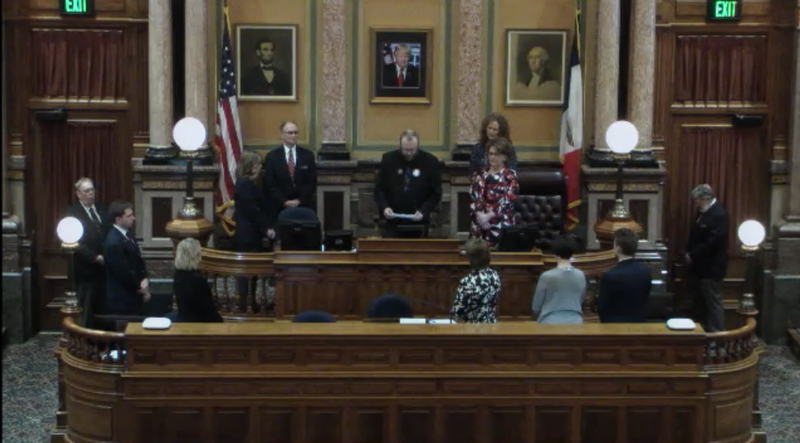 Immediately following the invocation, Scott abstained from participating in the Pledge of Allegiance, reportedly to show support for atheists who do not participate in saying the pledge.